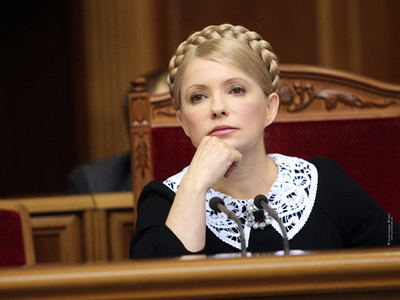 Yulia Timoshenko, former Ukrainian Prime Minister and one of the leaders of the Orange Revolution in the country has sued RosUkrEnergo natural gas trader and its owner for fraud, extortion and violation of human rights. 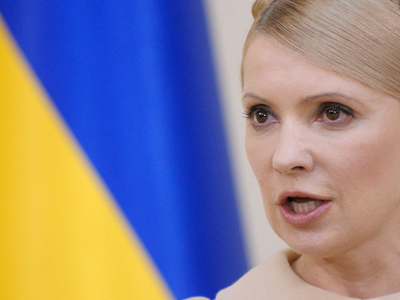 ­Timoshenko herself is currently under investigation on charges of abuse of office and misuse of funds. According to Wednesday’s report by Reuters news agency, Timoshenko, on behalf of the Ukrainian people, filed a lawsuit in the US District Court in Manhattan against Dmytro Firtash, a key shareholder of Swiss-based RosUkrEnergo AG – the company jointly owned by Russian natural gas monopoly Gazprom and Firtash – which specializes in delivering gas to Ukrainian customers and also 100 unnamed individuals. The former prime minister accused the defendants of fraud by manipulating an arbitration court ruling and also of "undermining the rule of law in Ukraine." The lawsuit concerned an old business row between Russia and Ukraine that ended in a ruling by an arbitration court in Stockholm ordering Ukraine's state energy company Naftogaz to compensate RosUkrEnergo for the fuel it had taken from gas pipelines in times of shortages. Naftogaz and Gazprom said in November last year they had agreed on a settlement under which Naftogaz would return $3 billion worth of natural gas to RosUkrEnergo in return for redeeming $1.7 billion of debt to Naftogaz and $810 million to Gazprom. Timoshenko is joined in her lawsuit by ten more people whose names are not disclosed to the press, but according to court papers those people had earlier been subject to repressions by the Ukrainian state. Moscow and Kiev were holding negotiations on natural gas transit to Europe in 2008 but failed to come to an agreement. As a result, Russia stopped gas supplies to Ukraine in early 2009 and shortly afterwards the supplies of gas to Europe were also halted, as the Ukrainian side continued to take gas from the pipeline. The contract specifying the conditions of gas supplies was signed only on January 19 and required the involvement of the Russian and Ukrainian prime ministers – Vladimir Putin and Yulia Timoshenko. The new contract dropped out any middlemen in the trade and RosUkrEnergo turned to the international arbitration court for compensation. In April this year, the Ukrainian Prosecutor General’s office started a criminal case against Timoshenko and the former head of Naftogaz Oleg Dubina, charging them with abuse of office during the signing of gas contracts with Russia in 2009. Prosecutors claim that Timoshenko’s action inflicted enormous damage to the Ukrainian economy and even threatened the nation’s economic security. 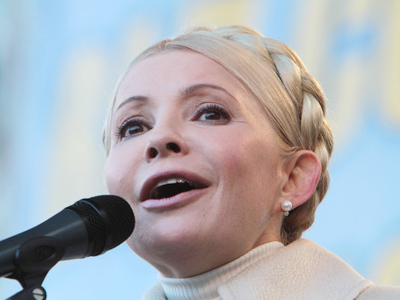 Both former officials were subject to a travel ban, although it has been temporarily lifted for Timoshenko so that she could participate in international political events.